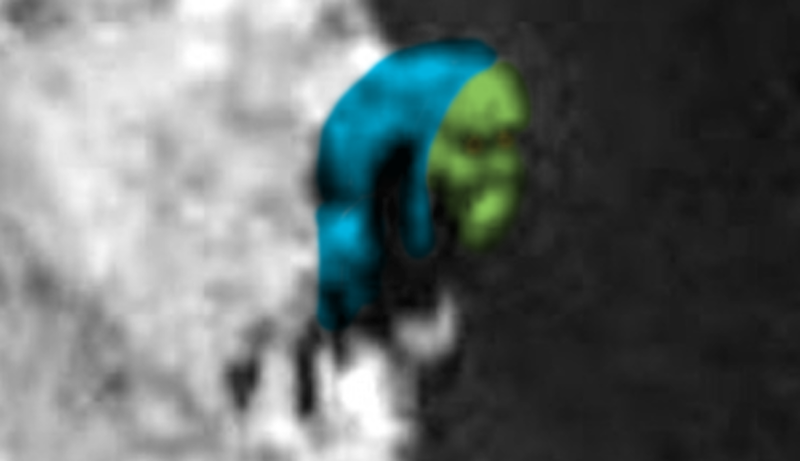 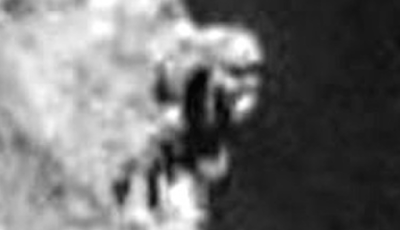 UFO SIGHTINGS DAILY: Rossetta Comet Has A UFO And Two Alien Faces On It, Aug 2015, UFO Sighting News. 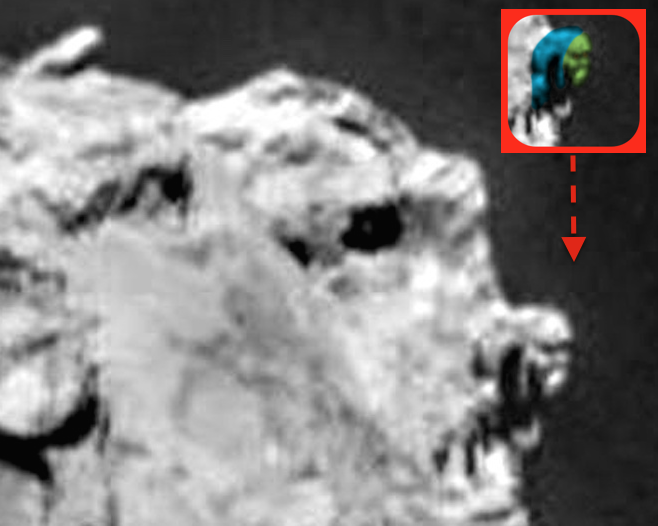 Rossetta Comet Has A UFO And Two Alien Faces On It, Aug 2015, UFO Sighting News. Rosetta is an interesting comet isn't it? Its shaped like a reptilian face thats been beaten and torn apart slowly as its travel through space for the last few million years. Yet, most of the face still exists. 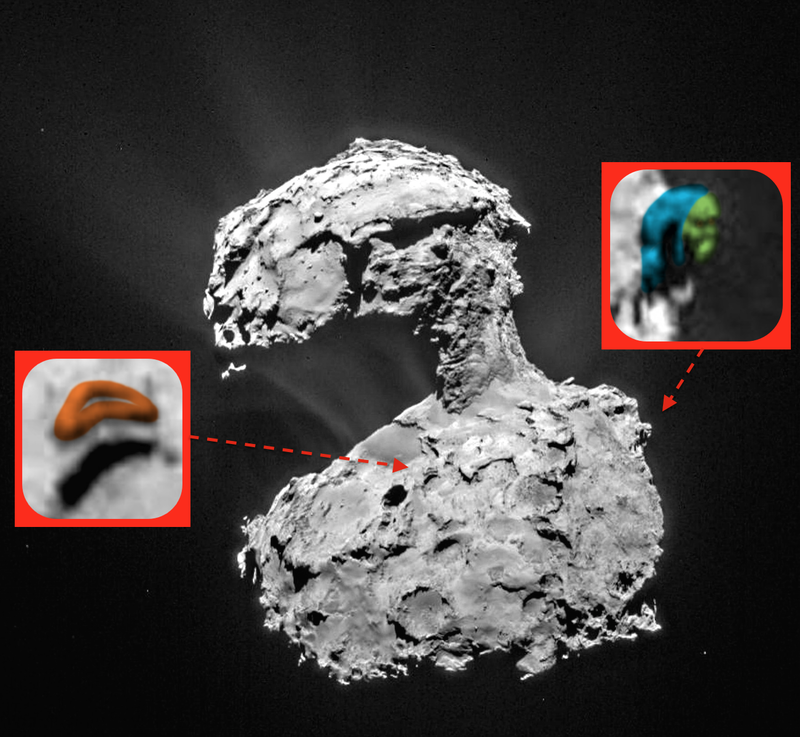 In this new image I found two really extraordinary things. 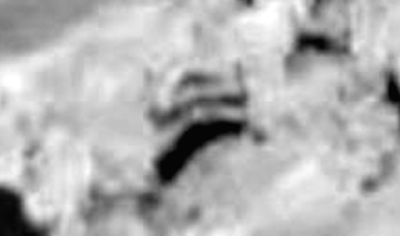 First was a hovering UFO. 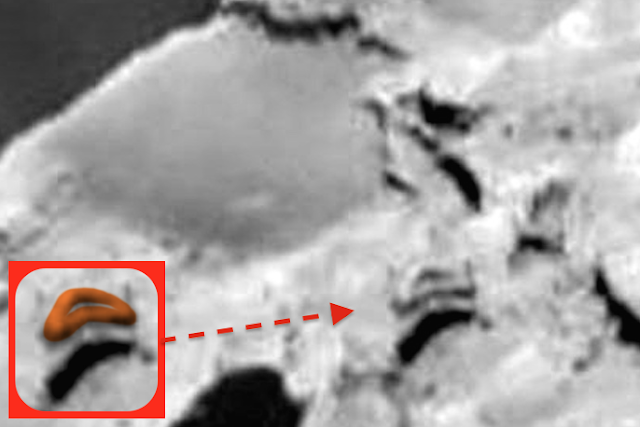 This UFO has a shadow below it on the comet, so we know its off the ground. Also its shape is tubular. 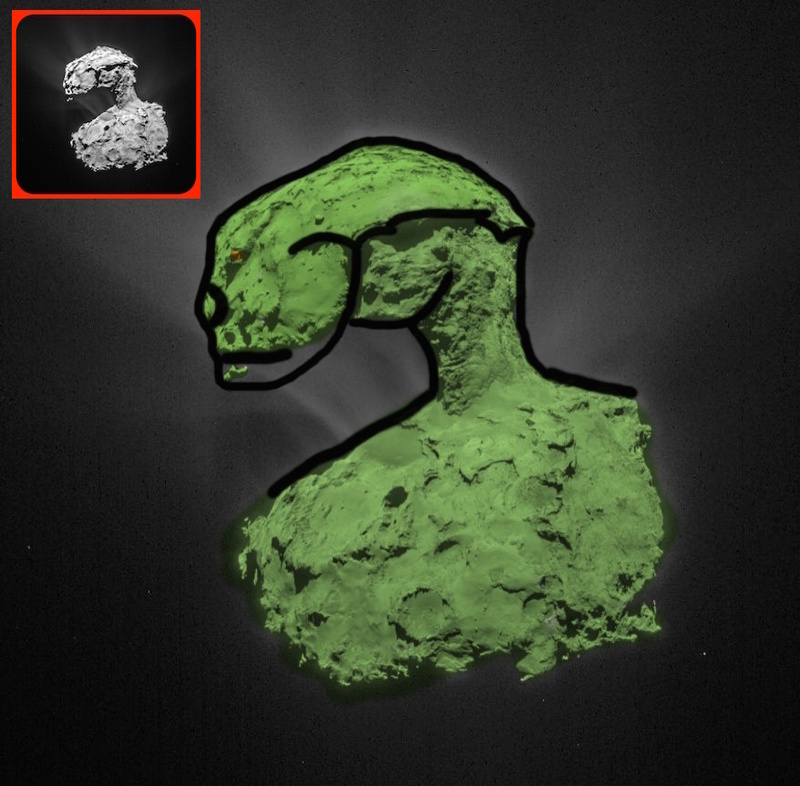 Not far away is another small face of the same species as the one that the comet was also designed to look like.